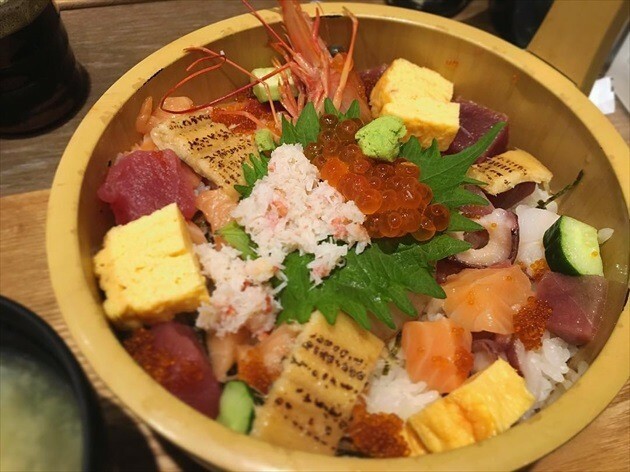 8 budget seafood bowls you can enjoy in Otaru! Otaru is decidedly one of the most popular tourist sites in Hokkaido. It has glassworks as well as canals, but most of all, it has wonderful seafood that we would like you to enjoy. So, will we be introducing you to sushi restaurants? Not quite. It’s something like sushi, but still different. 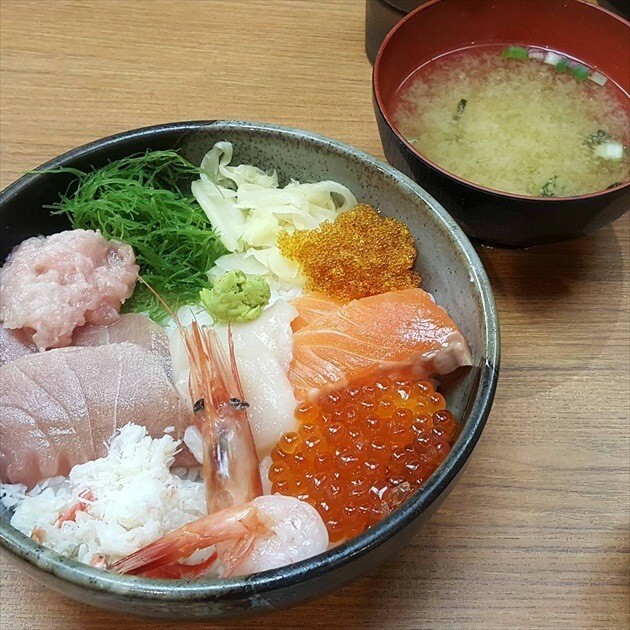 This time, we would like to show you 8 places we picked that serve reasonably-priced seafood bowls that even locals love! Now then, have you got a notepad and a pen ready? Let’s begin. There is a market just a 1 minute walk from JR Otaru Station. It is called Sankaku Market. Inside, you can find Sankaku Tei. Unfortunately, many of the shops in the market close early. In fact, you might find just about every shop closed once you arrive. But that is okay. This restaurant stays open well after lunch time, so it is usually crowded. The restaurant specializes in sea urchin (uni) dishes. The special thing about this restaurant is that it uses sea urchin without any alum, so it is not bitter and has no unpleasant odor. As for their salmon dish, the restaurant uses fatty salmon that is both rich and savory. 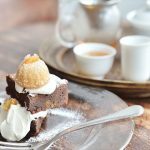 Customers all say, “it just melts in your mouth,” after trying it. This is the kind of dish we would recommend even to those who don’t particularly like salmon. 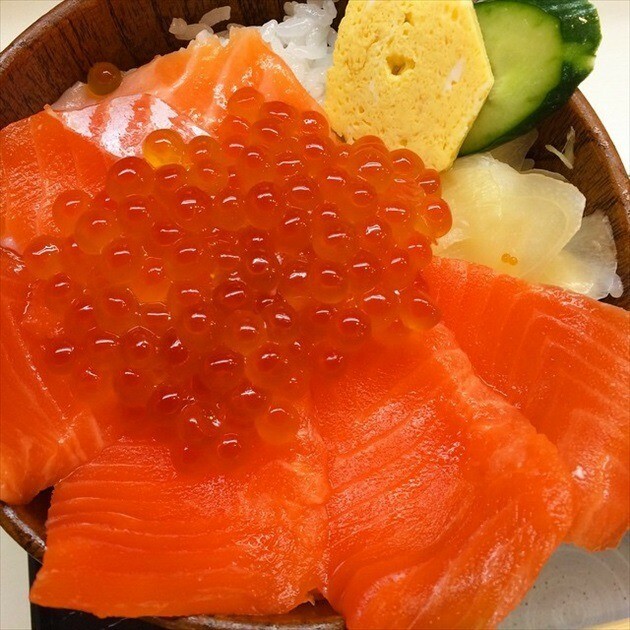 The oyako don (fish and roe bowl) in the image is served with an extra-generous portion of fatty salmon, which is topped with lumpy ikura (salmon roe). What do you think? Were you just unconsciously licking your lips? This dish is only 1,100 yen. In addition, the restaurant also has a slew of local sake you can taste. 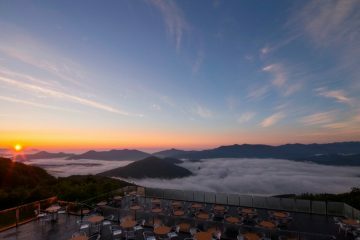 It is a great place for sake-lovers! Our next seafood bowl restaurant is Kita no Ryouba Otaru Canal branch, which serves sushi and seafood dishes in its main hall, and offers Western-style dishes like steaks and salisbury steaks in its annex. 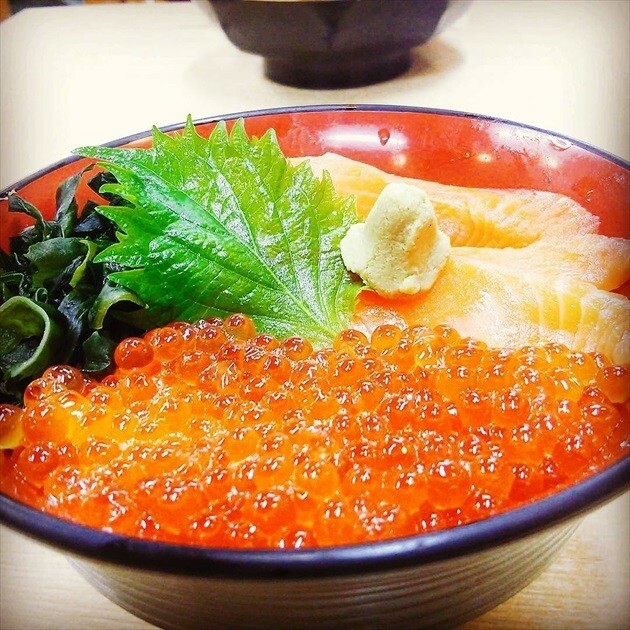 This is Oyako don (fish and roe bowl) with salmon and ikura (salmon roe). The glazed ikura will no doubt leave you craving for more! This dish is offered at 1,580 yen! By the way, in most cases, the rice used in seafood bowls is unseasoned. This restaurant, however, uses vinegared rice that, depending on your taste, can double the tastiness of a dish! A wide variety of shops can be found side by side inside Sankaku Market. While walking along the path where shop owners exclaim, “Ira-sshai!” (“welcome!”) you will come across a yellow noren curtain. 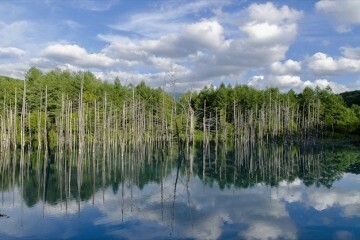 You have just found Marumiya. Since the restaurant gets your seafood directly out of its fish tank, you can try fresh and tasty dishes. The restaurant is in fact a company store owned by a seafood shop, so you can savor exclusive seasonal delicacies that are available only at a company store. The restaurant is located right next to JR Otaru Station, so you can find it easily even if it is your first time going there. It opens at 7:00 in the morning. As for the price… there is no need to worry. The restaurant is a fair shop with reasonably-priced dishes. Another great aspect about the shop is that it is visited by guests from around the world, so you can enjoy conversing with people from vastly different backgrounds. 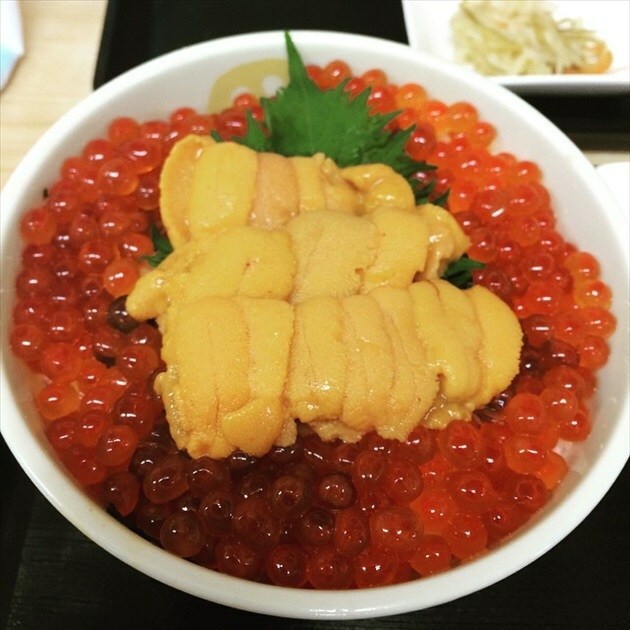 This uni / ikura don (sea urchin / salmon roe bowl) can be enjoyed for 2,500 yen. It comes with an incredibly generous portion of both! The restaurant’s salmon roe also has a unique flavor because it is prepared with specialty homemade glaze. Why not try out this uniquely-flavored salmon roe? The Otaru Poseidon Sakaimachi Main Shop specializes in seafood bowls as well as robatayaki (Japanese barbecue grilled in front of guests). Have you ever wondered how to spend the time waiting for your food? It is not a big deal if you are waiting with your friend or someone else, but it does feel like a long time if you are by yourself. At this restaurant, however, food is cooked right in front of you. You can enjoy the show while you wait. Because there is something to entertain you, you will not feel bored. Hot and steaming food is then transported directly onto your plate using a spatula. Another special aspect of this restaurant is that it stocks seasonal seafood, so you can enjoy whatever you want, whenever you want. Topped with several kinds of seafood, this “Posei-don” costs 2,100 yen! It is a great deal for the variety you get, so you can enjoy some of the best seasonal marine treasures to your heart’s content, without worrying about being ripped off. There is also a children’s room inside the shop, so you can visit as a family and still have a great time. Relax and enjoy the food, without worrying about others in the shop. 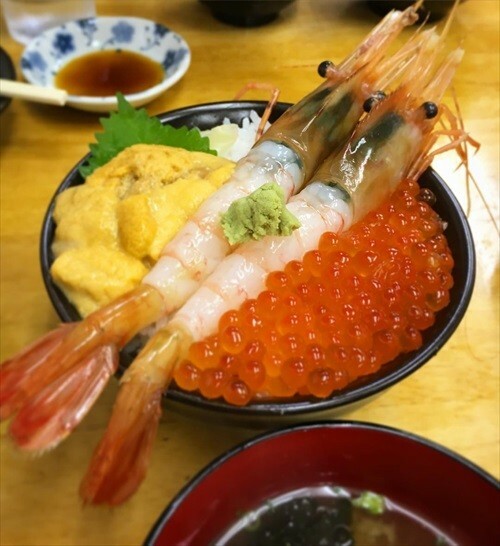 Located about a 10 minute walk from JR Minami-Otaru Station, Otaru Seafood Bowl En is located on Otaru Sakaimachi-dori street, which is lined with famous Japanese dessert stores and many other popular tourist spots. The restaurant emphasizes using quality ingredients, such as fresh seafood locally sourced from Otaru, specialty homemade kaeshi soy sauce (a mix of soy sauce, sugar, and mirin) and rice from Hokkaido. As such, you can expect to taste something that is entirely unique to this store. Pictured is Seafood hitsumabushi (grilled eel bowl), our must-try. 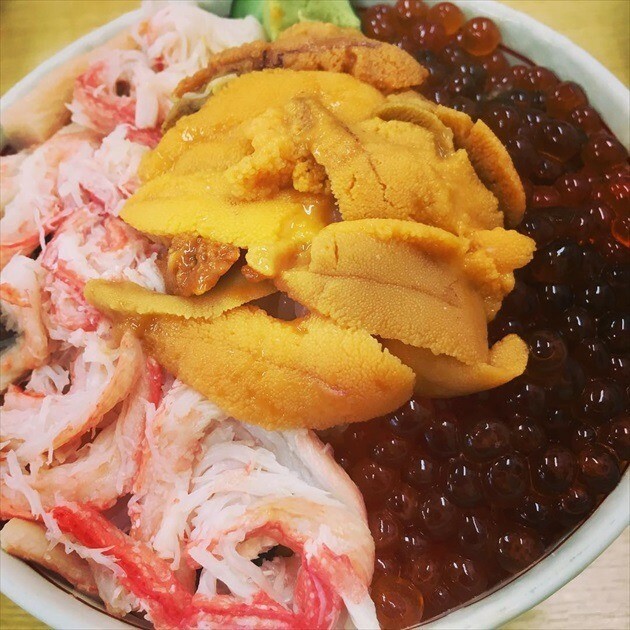 Topped with over 11 kinds of seafood, such as sea urchin, salmon roe, crab, tuna, salmon, octopus, scallops, shrimp, and flying fish roe, the popular seafood bowl was awarded the Hokkaido Jalan Hit Gourmet Grand Prize in 2015. It also costs just 1,980 yen! There is also a special way of eating this dish. First, top with wasabi soy sauce and eat. Next, mix in spices to your liking and eat. Lastly, pour in the shop’s special dashi soup and enjoy it as a bowl of seafood ochazuke (rice in hot tea). The sumptuous seafood bowl can be enjoyed in these three different ways. The shop interior is mostly wooden. Surprisingly, all of it is the handiwork of one staff member. The quality and finishing are simply stunning, to say the least! The wooden interior creates a calm atmosphere. The restaurant is a great place to have a good time with your family, as well as for couples on a date. 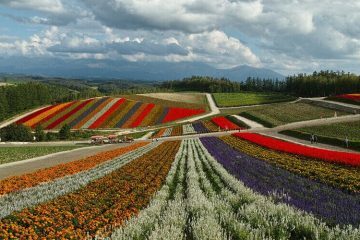 It is a splendid place to spend a lovely afternoon or evening. A local favorite, Kita no Donburiya Takinami Shokudo can be found in the same market as Sankaku Tei. You can browse the menu to choose what you want, but you can also select from the many food photos hung in various places in the restaurant. They will make it fun for you to choose what you want to order. The seafood bowls you can enjoy here use extra-fresh ingredients available exclusively in the market. Priced at 2,200 yen, the Wagamama don (have-it-your-way bowl) lets you choose 3 to 4 of your favorite items from 9 popular toppings. Putting aside everything else, the Wagamama don is a great deal for its price, given the huge portion size! Nothing fishy going on here! Try choosing your own favorite toppings to create your very original seafood bowl! After being carefully inspected and brought in fresh, the salmon roe served in this restaurant is gently seasoned, piece by piece. 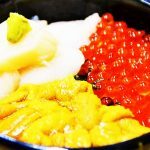 The Ikura don (salmon roe bowl), which comes with a generous serving of salmon roe on rice, is another item that we highly recommend. 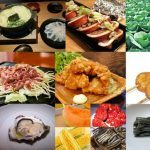 Located a 9 minute walk from JR Otaru Station, this restaurant is the company store of sushi restaurant, Honten Sushidokoro Yoshi. It offers the same kind of seafood as used in the main branch, but at a more reasonable price. As such, the restaurant is known for serving great food at a great price. The shop is great for school trips, graduation trips, course meals for banquets, and business events. 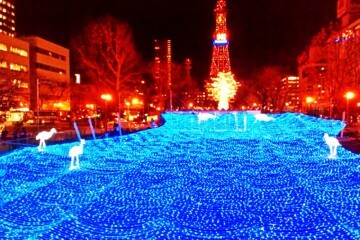 It is also perfect for year-end parties and New Year’s celebrations. Besides the seafood bowl, the restaurant’s horsehair crab soup is also very popular. You will most likely become addicted after a single taste. This Hokkai-don costs 3,200 yen, but for what you get, we believe it is something you just have to try. This is a popular restaurant located on Sakai-dori street, which is brimming with tourists everyday. Besides its scrumptious seafood bowls, the shop is also a favorite for its tasty 500 yen menu during lunch time. The homemade soy sauce-marinated salmon roe has a unique taste that can be savored only here. 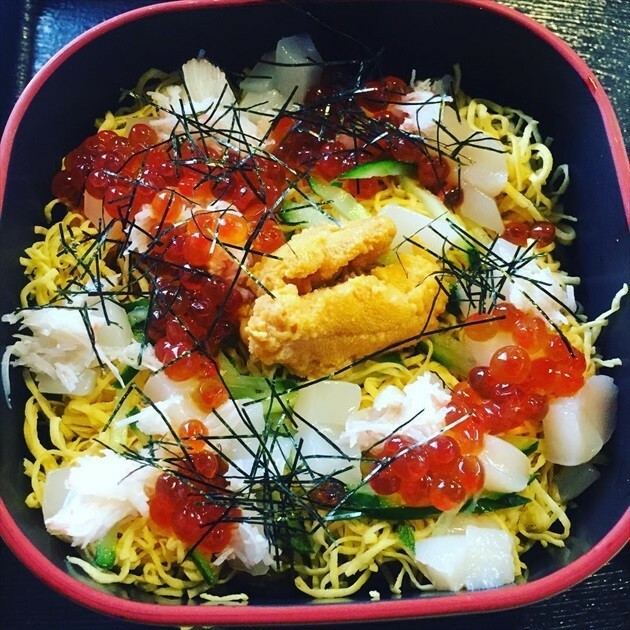 Also, the salmon oyako-don (fish and roe bowl) is the shop’s most popular item, topped with rich-tasting fatty salmon and the delicate salmon roe we just mentioned. This time, however, we would also like to introduce a dish that pleases not only your palate, but also your eyes. Here it is. This popular dish, called Takarabako (treasure chest), costs 1,800 yen. Topped with finely-shredded nori laver, lumpy salon roe, finely-cut egg, rich-tasting sea urchin and more, the dish well deserves its name. And there is more! Hidden underneath the seafood toppings is conger eel rice! It sure is great to be able to taste so many delicacies in just one dish! Something to note here is that this restaurant lets you add extra rice in your bowls and set meals. A great option for those who are feeling extra hungry! Try the exquisite flavors at a restaurant that even the locals love and praise! So what do you think? Otaru is a famous town among tourists, but it is especially well-known for its outstanding seafood. Rather than its attention-grabbing sushi restaurants, we wanted to introduce you to some great seafood bowl restaurants. 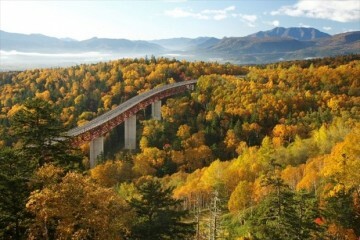 There are many more places we would love to show you, but we will leave that for next time. After seeing around the canal and touring the glassworks in town, how about stopping by at one of these restaurants to enjoy one of their reasonably-priced seafood bowls? Try it at a market, at a small restaurant, or even at a chain store. There are so many ways to enjoy! Let’s Explore the Hakodate Morning Market! Now only! Exclusive to Mukawa! 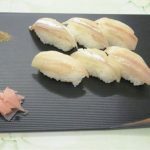 I ventured out to try the must-eat shishamo sushi!